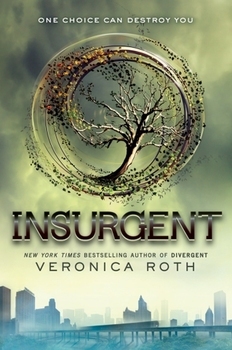 Tris’s struggles continue in the sequel to Veronica Roth’s bestselling teen dystopian series, Divergent. Kidzworld has the book review of Insurgent. Tris, her boyfriend Tobias and the remaining members of the Dauntless faction are picking up the pieces after the war that killed both of Tris’s parents. But it’s particularly difficult for Tris, who is constantly dealing with the grief of killing her friend Will. While she and her faction seek refuge in other factions, the Dauntless traitors are on her trail. Tris learns that Jeanine, the mastermind behind the faction war, is hiding something. And she overhears Tobias’s abusive father, Marcus, trying to find out what it is. In order to learn the truth, Tris must team up with Marcus and ultimately turn her back on Tobias. Meanwhile, someone else (and we won’t say who!) has a plan of their own. They want to create an army of factionless to kill off the Erudite and abolish the entire faction system. But does Tris want that? Without the faction system, the world would turn to chaos. Then again, it’s already in chaos. How much worse could it get? Insurgent by Veronica Roth didn’t quite live up to her first novel, Divergent. 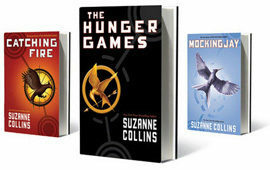 While this series has been highly praised, and even compared to The Hunger Games, we find that it lacks something. The overall concept is intriguing, but the plots drag at times and many parts are difficult to visualize. If you want to read every dystopian available, we recommend this book. However, if you only want to read the cream of the crop, we’d suggest other books like The Maze Runner series or The Knife of Never Letting Go. 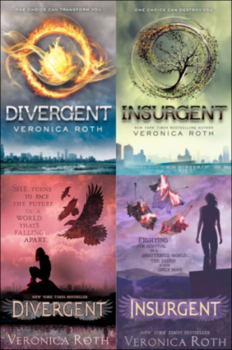 Did you like Insurgent by Veronica Roth? Tell us in our comment section below!